Nope, you can't use the same products all year round guys. As much as you might want to, it sure is easier, you just can't. Your skin needs different things during different seasons and products are created to match this. You should be wearing an SPF all year around but obviously it's a lot more important to wear sunscreen during the summer months when the sun is at it's strongest. This doesn't have to mean adding another step into your routine, just switch to a moisturizer that includes an SPF such as this Eucalyptus SPF 15 Daily Facial Moisturizer. It won't feel sticky and sunscreen-like and remind you of trips to the beach with your parents when you were a kid, it'll be cool, refreshing and invigorating! It features UVA & UVB protection and essential oils. We've popped this into one point as they are interchangeable and essentially one step! Make sure you're washing your face everyday during the summer months as you'll most liking be sweating more than usual. Wash your face with a face wash at least once a day, more if you're working out, and then use an exfoliator once or twice a week to make sure that you're getting rid of dead skin cells. 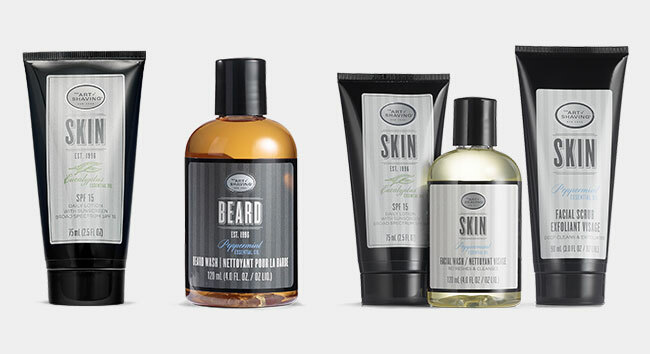 This Skin Care Kit is the perfect intro into summer grooming. Obviously shampooing your hair is a must to get rid of everyday grossness but if you've got a beard it's a really good idea to start shampooing that, especially in the summer months where you can accumulate lots of grime there from sand to sweat to bits of burger! This Peppermint Beard Wash is perfect for cleaning up this summer.